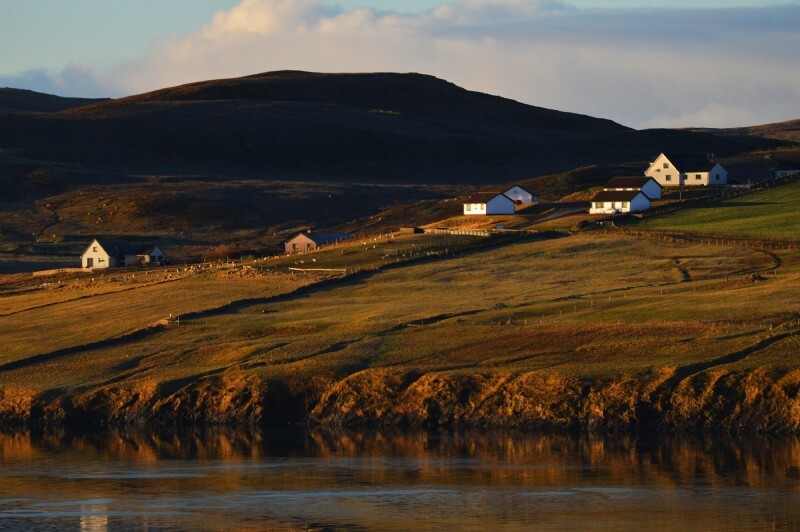 The Shetland Islands has seen the highest increases in average prices, volumes of sale and total value in Scotland in the last quarter of 2016, and according to SPC Scotland, it’s proving popular for those from south of the Border. The most recent quarterly house price statistics published by Registers on Scotland, covering the period from October to December 2016, shows that the average selling price in the Shetlands is up 15.8% from the same period last year to £159,326, while the volume of sales has increased by 16.9% year on year. The total value of sales over last quarter of 2016 was £14,339,370, which is an increase of 35.3% since 2015. This demand is backed up by the Office for National Statistics (ONS), recording that The Shetland Isles saw the biggest house price increase in the UK last year, registering a rise of 26%. “Our experience is that the market here is busy and generally reasonably good overall,” says Robert Bell, property manager of Harper Macleods. “The number of people moving here has remained pretty constant, primarily coming from England rather than mainland Scotland, and they are generally a mix of people looking for a gentler pace of life, and retirees, but also Shetlanders looking to return home. For many our stunning scenery, abundance of wildlife and rich cultural heritage are big attractions as well as the excellent services and amenities we enjoy. Perhaps surprisingly, there has been very little hard evidence of Brexit and Independence having had any significant effect. “The downturn in the oil industry has inevitably had some effect however fortunately the market here has once again shown that it is relatively resilient. Certainly, the market here overall has not suffered to the same extent as Aberdeen. For Scotland as a whole, the average selling price is £168,495, remaining around the same level as in 2015. While the volume of residential sales was down 0.1% from the same period in 2015, there have been some areas where the shortage has been more pronounced, such as in Glasgow, with a 4.8% decrease in the number of properties being brought to market. East Renfrewshire is another area in Scotland that has seen an increase in average selling prices – up by 8.1% to £250,227. The number of homes being sold has increased by 16.7% year on year. Curtis Chisholm of solicitor estate agents Cochran Dickie said: “Because of the distinct range of property across Renfrewshire, it is greater value for money as it hasn't caught up with other areas such as Glasgow in terms of increased value. Schooling is also a driving force for many and the areas with good state schools is of course in high demand. While Edinburgh continues to be a seller’s market, with a slight shortage of property fuelling faster selling times and a modest 0.5% increase in average selling prices, in the Scottish Borders the average selling price has increased by 5.9% year on year, to £176,700. Mid-range properties in the Scottish Border have benefited from the LBTT changes as it is possible to buy two or three bedroom semi-detached homes in the Borders without paying any Stamp Duty, or for a few hundred compared to several thousand pounds. Tayside Solicitors Property Centre (TSPC) has seen strong demand for homes across the region with a 3.2% increase in average selling prices, while Perthshire Solicitor Property Centre (PSPC) has seen a 1.3% increase in average selling prices.